The Smoby Be Move Disney Princess Tricycle is a prettily designed progressive wide-wheeled tricycle for little ones (12 months +) learning to ride. Complete with an enveloping seat to support your most cherished's back, adjustable seat for comfort and safety belt, there's also a free wheel system on the front wheel plus the possibility to lock child's steering when grown ups are pushing the trike (3 adjustable parent handle height levels too!). 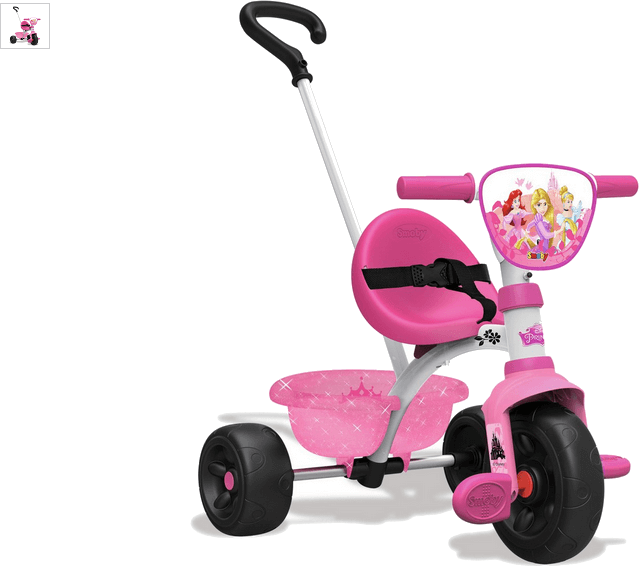 Get money off with April 2019 free Argos voucher codes, see if there's a promo code for the Smoby Be Move Disney Princess Tricycle product. Argos may be out of stock of this product. To enhance your shopping experience you may also be redirected to a search results page when you click an outbound link.